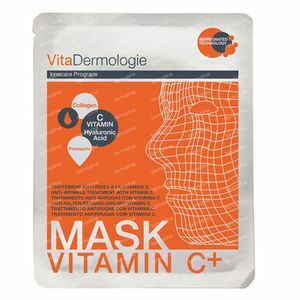 Vitadermologie Anti-Wrinkle Treatment With Vitamin C 1 item order online. Vitamin C: Powerful antioxidant, improves the appearance of aging skins (increasing the production of collagen) and prevents hyperpigmentation (including age spots). Collagen: Renews the conjunctive tissues, reinforcing the moisturizing capacity and water retention within the cells, which improves the appearance of the epidermis. It is fully compatible and easily assimilated by all skin types, even the most sensitive. It penetrates to the second layer of the epidermis and gets incredible results. Hyaluronic Acid: powerful retardant of aging, free radical capturer, with large anti-wrinkle effect with extraordinary hydrophilic properties, which provides a hydrated means between cells and protects them. Pineapple: It contains enzymes that make it ideal to exfoliate, cleanses and softens the skin. It is also rich in nutrients, has many antioxidants such as vitamin C and minerals such as phosphorus and manganese. 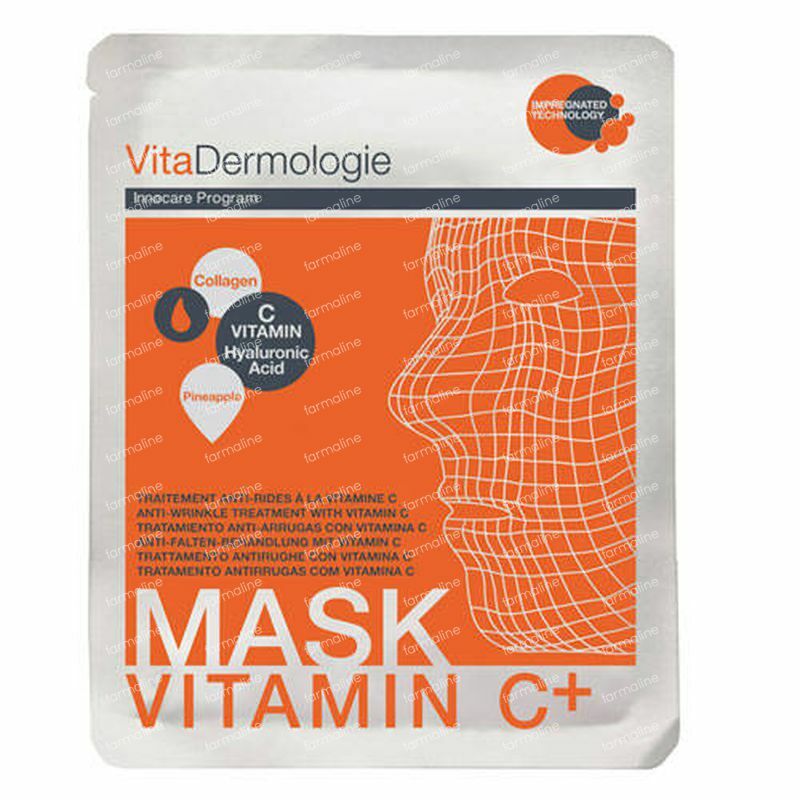 A skin brightening and rejuvenating treatment mask with pinapple, vitamin C, collagen and hyaluronic acid. Clean and pat dry your face. Unfold the mask and apply over the face. Remove the mask after 15 minutes. Finally, massage gently the face until completely absorbed.